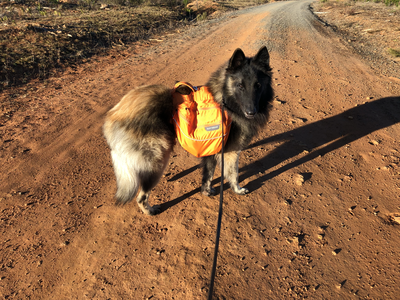 Dogs hike 16km with 30% of their body weight in a back pack they carry - after competing 4 hikes they earn a Working Pack Dog title. Knight's New Title = WPD!! We went to Belanglo State Forrest on Saturday and Sunday 21st and 22nd of July to complete 16km each day. Now having obtained 4 hikes Knight qualifies for his Working Pack Dog (WPD) title! 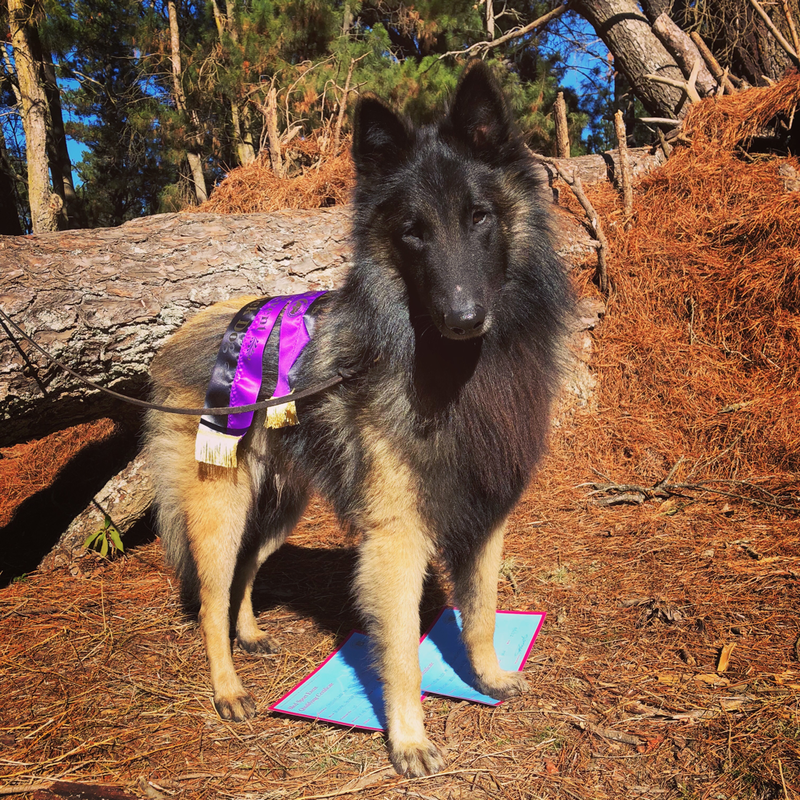 Possibly the first Belgian in Australia to obtain this, certainly the first Tervueren! 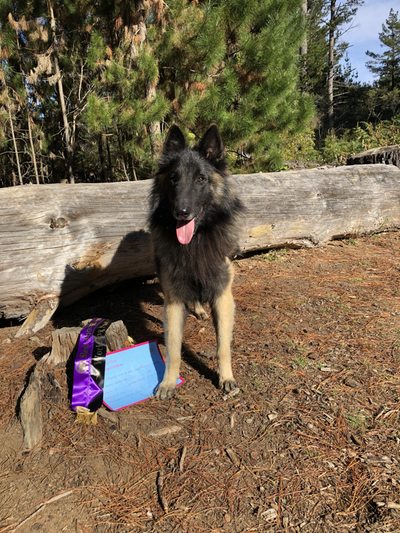 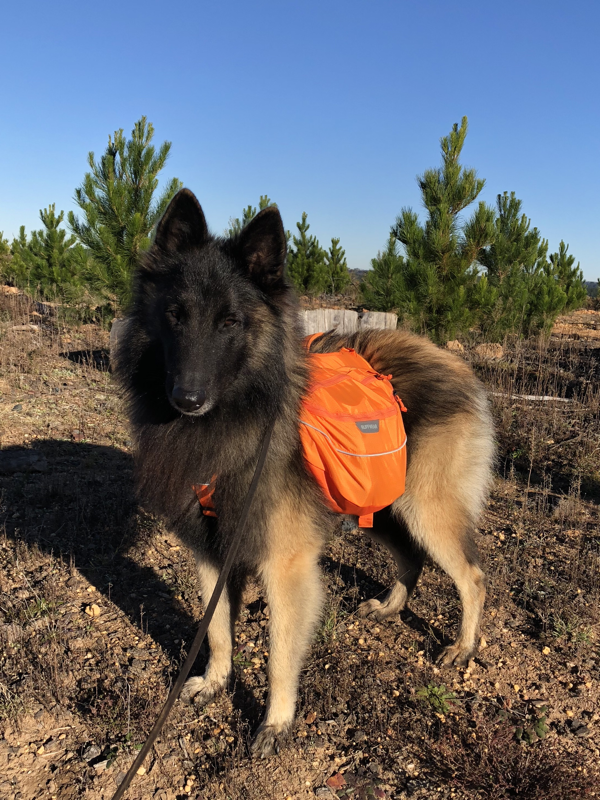 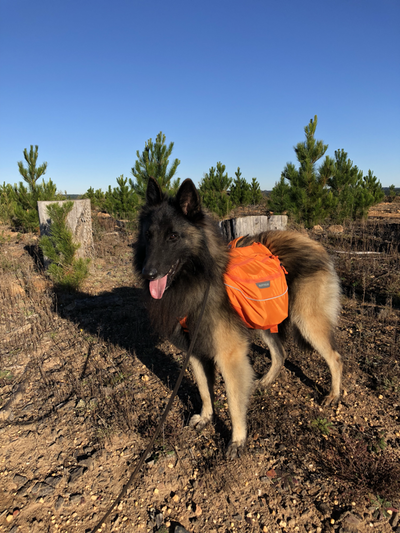 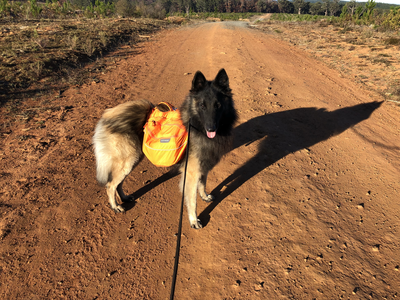 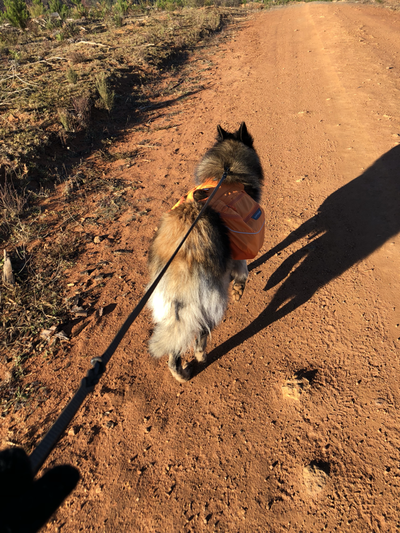 Knight and I went to Wingello State Forest 23rd/24th June and did 2 x 16km over the weekend which gave us 2x quailies towards our Working Pack Dog (WPD) title! 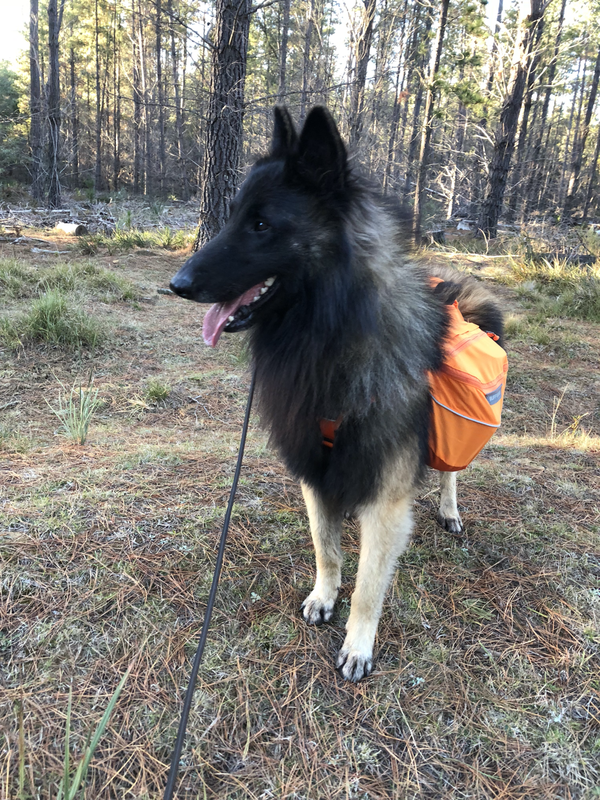 Knight carried 7.5kg like a champ.